Connecting people so we can work together to achieve their goals and dreams. That is what I want to do. It is what makes me happy and what I am good at. My strength is communicating information in a clear and enthusiastic way and through it getting things done. 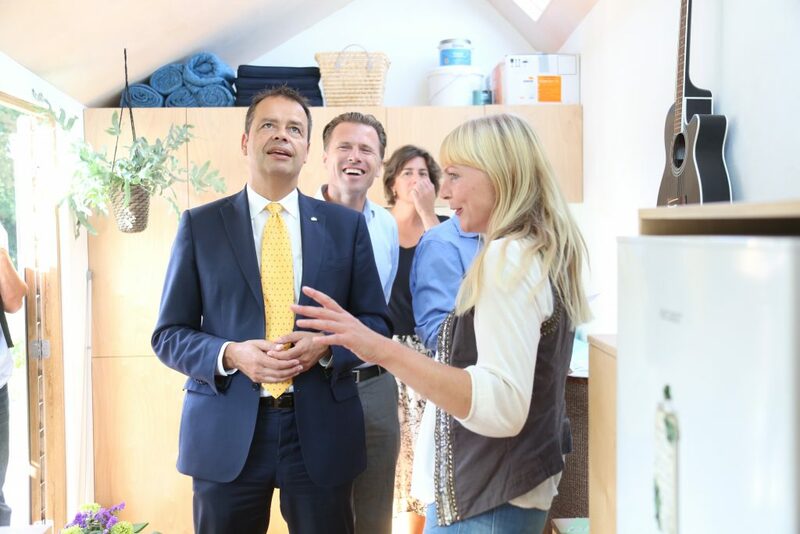 It is my mission to generate attention for the Tiny House movement in the Netherlands and to achieve more opportunities for people to live Tiny – sustainably and legally. As one of the first Tiny House pioneers in the Netherlands and project manager for the Tiny House Nederland foundation I am an experienced expert with a broad network. I have 8 years of experience in clinical research projects, which gives me a solid foundation to support municipalities and organisations with the realization of a Tiny House (pilot) project, handling just a part all of the project for you. ‘What are Tiny Houses? What is the philosophy behind it? How big is the interest in this new type of housing in the Netherlands? And: where can I get support and information about concrete applications?’ These are interesting questions for city councils, social housing corporations and other organizations, and I will gladly help you find answers to them. For example: by organizing a training session for you and your team so you are up te speed with the latest developments in the Tiny House movement in the Netherlands. Are you curious about the options? Please get in touch with me via 0031 (0)6-42652091 or info@marjoleininhetklein.com. In the spring of 2015 I wrote about Tiny House pioneer Marjolein Jonker for the first time, she was having plans and ideas to have her own Tiny House build. After that things moved fast, … real fast. Marjolein is not a dreamer but a visionary and a go-getter. She knows what she wants, what she can do herself and how to get other people excited about her ideas. That was well noticeable in the management of the design team, the search for a building and living location, the building project coordination, the way she dived into the research of applicable legislation, analyses of off-grid installations, ……… and anything else that she encountered on the way, making use of her organisation skills and open communication style. Not even one and a half years later and Marjolein lives in her own Tiny House on a beautiful green location in Alkmaar, she is giving lectures about Tiny Houses all over the country, gives radio- and tv- interviews, writes blogs about her experiences in ‘Marjolein in het Klein’, is co-founder of the foundation and website Tiny House Nederland. She does this as much as possible together with others and shares her knowledge whenever possible. I gladly recommend Marjolein as a partner for organisations that have plans that include Tiny Houses. 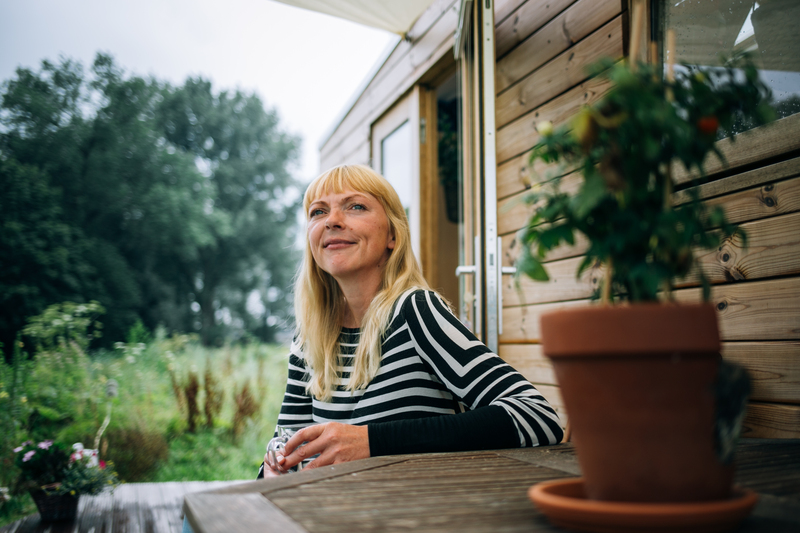 In the past year I’ve spoken to Marjolein Jonker several times, about the Tiny House Movement. It is always a pleasure to talk to her, she is enormously passionate, knows exactly what’s going on and is an inspiration to many people. If I ever want to live Tiny I would absolutely come knocking on her Tiny door. I belief that with her knowledge, experience and passion she is capable of creating a bridge between municipalities and organisations, and the growing number of Tiny House enthusiasts. Rub well over the palms buy cheap xenical 120mg back of hands fingernails and..